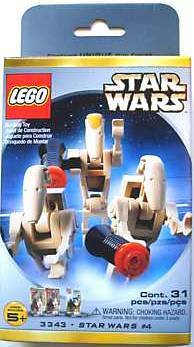 Star Wars #4 is a Star Wars Episode I: The Phantom Menace set released in 2000. 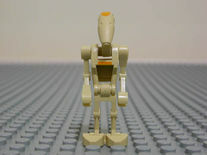 The set includes 31 pieces to construct 3 Battle Droid's with backpacks, and it is recommended for ages 5+. Facts about "3343 Star Wars #4"
This page was last edited on 9 January 2016, at 09:38.